Did those adorable Supergirls at the fifth-annual White House Science Fair this week make you a little weepy, or was that just me? continues Refinery29. I have an excuse, because I saw their picture after reading the latest report on the status of women in technology, out from the American Association of University Women. And, no surprise, the statistics aren’t good. 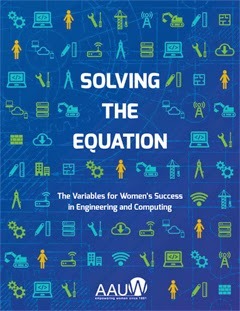 The research report focused on women in computing and engineering, two fields that make up more than 80% of the STEM (science, technology, engineering, and applied mathematics) workforce, and which have remained stubbornly male-dominated despite an increase in gender equity in many other areas. Instead of just recounting the bias and depressing statistics found in recent research, AAUW analyzed the findings and came up with some actual recommendations that companies, universities, and women in tech can use to help reverse these trends. Here are some of the most interesting.